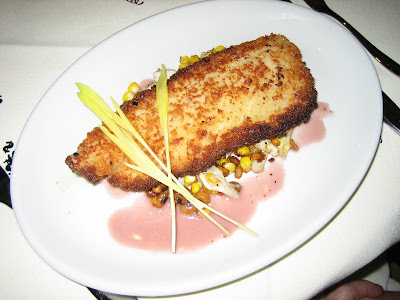 Dogwood - A very special office lunch. Cousins Joanne and Craig graciously hosted a Rosh Hashanah dinner at their place to bring in the Jewish New Year. 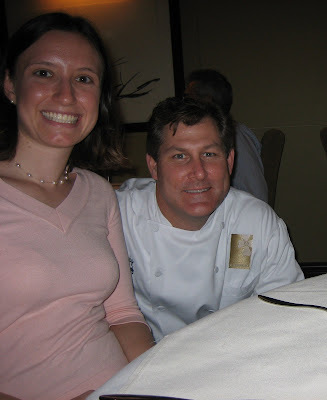 It was wonderful to feast on a homemade dinner with friends and family. 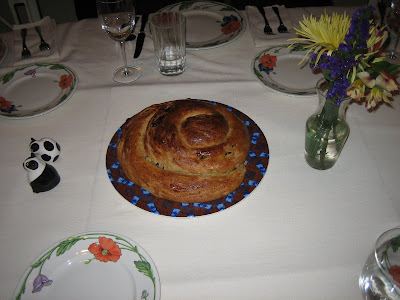 Our friend Dana brought a beautiful and very delicious challah. 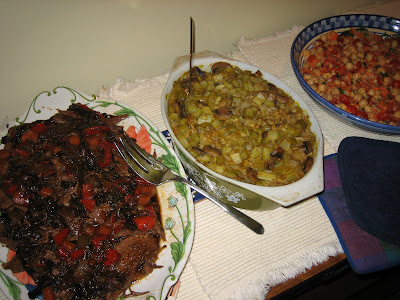 Brisket, a rice dish and a wonderful chickpea salad. 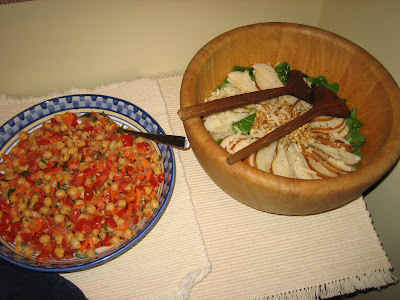 The chickpea salad again and a pear and walnut salad. 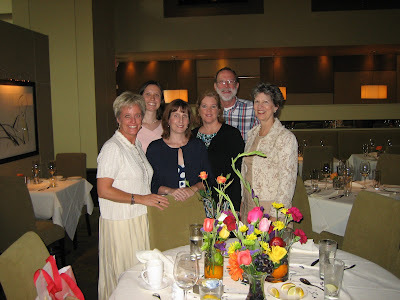 To celebrate several important office milestones, we headed to Dogwood for a very special lunch, complete with handmade flowers for each honoree. 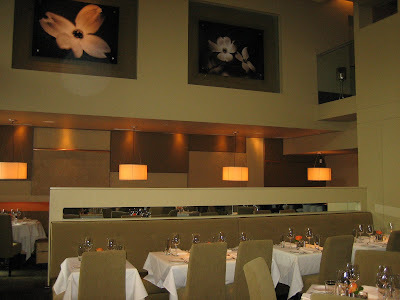 I thoroughly enjoyed this place and would recommend it for anyone looking for a special meal. 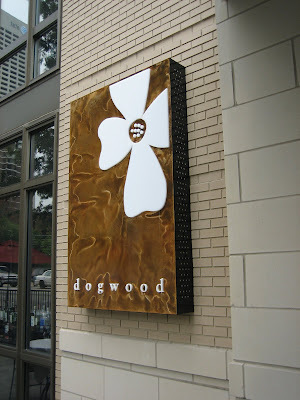 The exterior of Dogwood in midtown Atlanta. I love the warmth of the interior. There is an upstairs seating section as well. 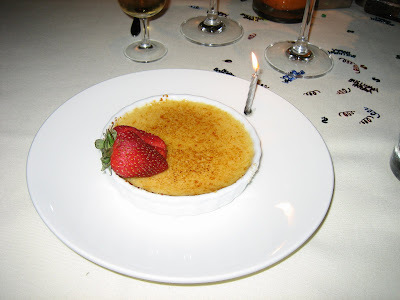 I'd indicated to the restaurant that we were celebrating. 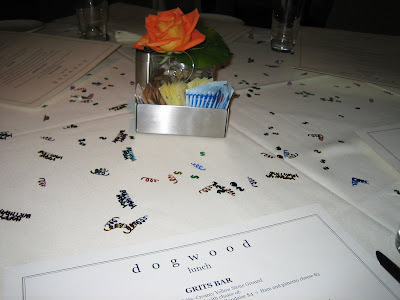 We were delighted to find confetti on our table when we arrived - very festive! 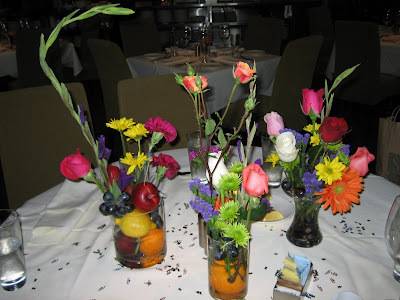 Ruth's beautiful bouquets, including fresh fruits. 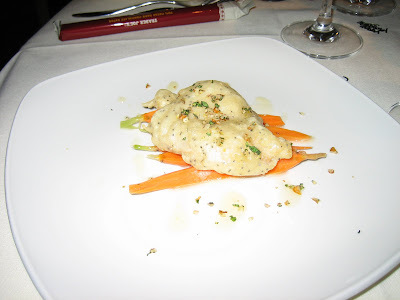 Tempura quail appetizer - very tender and delicious. 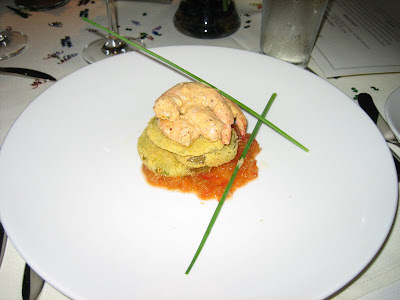 Fried Green Tomatoes with Shrimp. 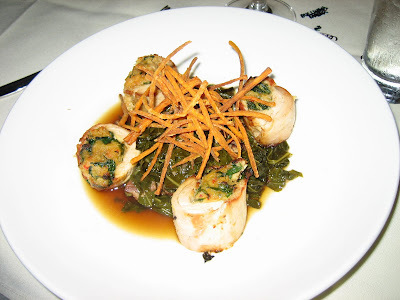 This was an excellent appetizer that we had a hard time sharing! 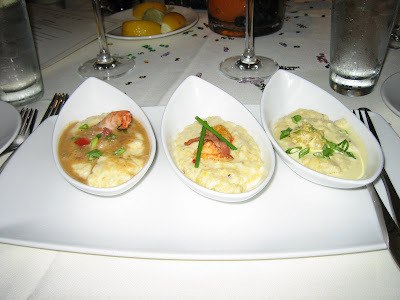 Three selections from the grits bar. 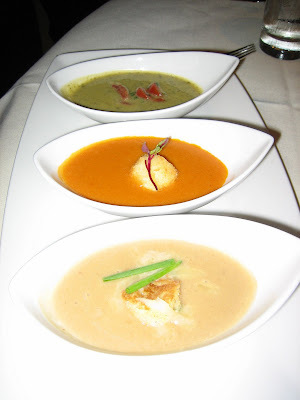 The soup flight was outstanding, and a made a gorgeous photo. 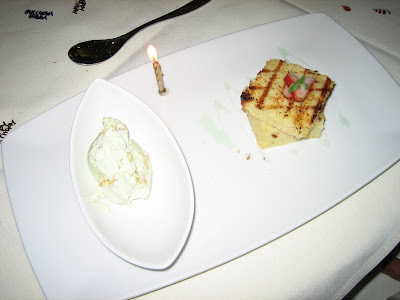 Grilled pound cake with key lime gelato - yum! 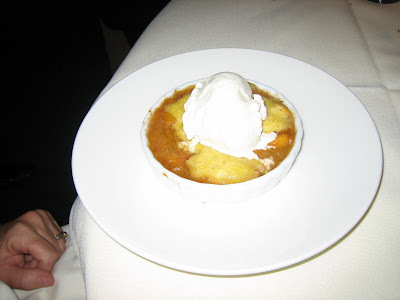 Creme brulee - again, another delicious choice. 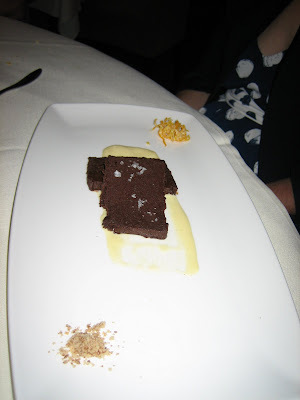 Chocolate terrine with sea salt - smooth, dense and delicious. Our group following the hearty meal.